Wonderful Island is an amazing simulation and casual game. This is your island and you can do whatever you want to develop this island. Build factories, reclaim more lands for the island, fishing and breeding animals, decorate the island and so on. The game features all kinds of different style of buildings and 6 kinds of terrains for you to construct your island. The pieceful story-telling introduces 6 different characters for you. If you need some help, check out the video walkthrough and gameplay for the game. 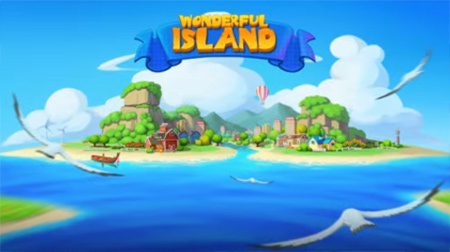 This entry was posted in Android Games, iOS Games, Mobile Games, Walkthrough and tagged Wonderful Island Cheats, Wonderful Island Gameplay, Wonderful Island Guide, Wonderful Island Hints, Wonderful Island Review, Wonderful Island Solutions, Wonderful Island Strategy, Wonderful Island Tips, Wonderful Island Walkthrough by Marvin. Bookmark the permalink.